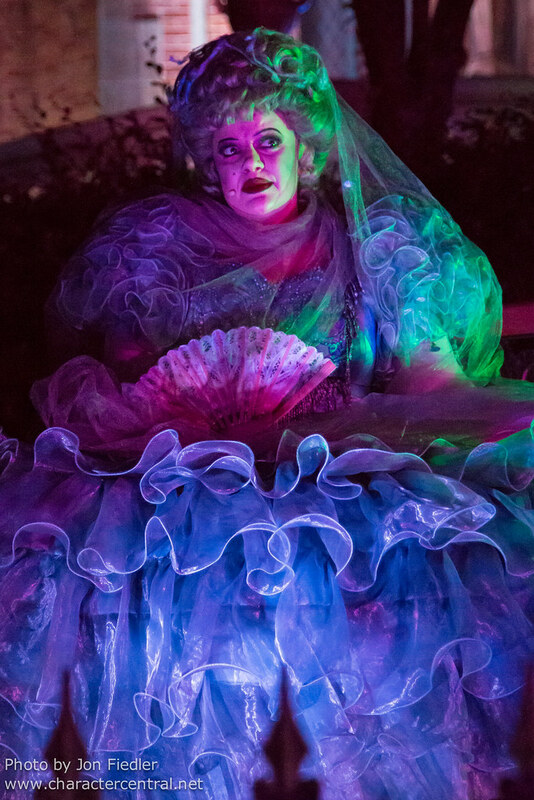 Madame Carlotta is one of the 999 ghoulish inhabitants of the Haunted Mansion. The niece of Master Gracey, and sister to Madame Renatta, Madame Carlotta likes to hang around outside the Mansion around Halloween time, regaling unsuspecting passers by with her deathly funny, if not morbid tales of life and death. The ghoulish Madame Carlotta only makes herself visible during Mickey's Not So Scary Halloween Parties at the Magic Kingdom, WDW. You can usually find her outside the Haunted Mansion. Her apparitions alternate with that of her sister, Madame Renata.